Small and perfectly formed, this stunning little Hydrangea has a translucent quality which lights up the border in August and September. 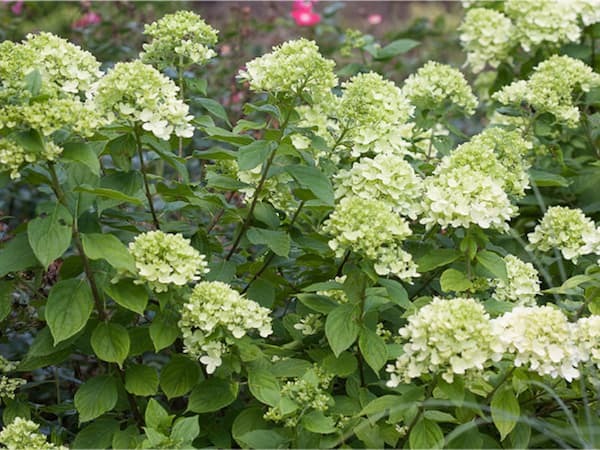 Much more compact in habit than its close relative Hydrangea Limelight, it is also great in a pot or container on the terrace, which is where mine lived for a year or two before being transplanted. 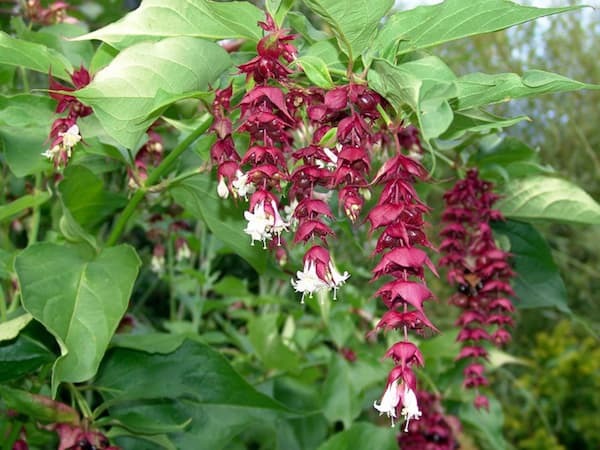 A handsome relative to our native honeysuckle, Leycesteria has trailing white and claret flowers in August through to October. The flowers are followed by dark purple black fruit in autumn, popular with wildlife and pheasants in particular – hence it’s common name ‘Pheasant Berry’. Left unchecked this shrub can get very large and invasive but can be cut back hard every year (or every other year in my case) in order to control its size. 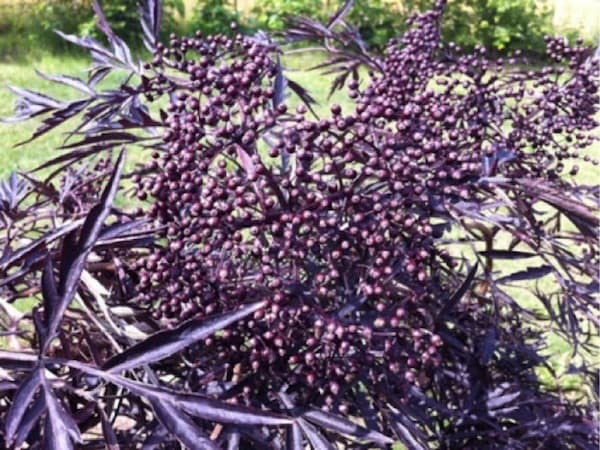 This beautiful shrub has intense purple black foliage which is finely cut, giving it an effect similar to that of a Japanese maple. Creamy pink flowers in spring contrast nicely with the dark leaves, which are followed by blackish red berries in August. These can be harvested for making elderberry wine and jam, or left on the plant to attract birds and other wildlife throughout autumn. Full sun is needed for the best leaf colour and hard pruning every few years is necessary in my garden to prevent it becoming a tree! But the overall effect in the border is stunning. This deciduous climber packs a real punch in August when out of a mass of bronze edged pinnate leaves burst the exotic burnt orange flowers. 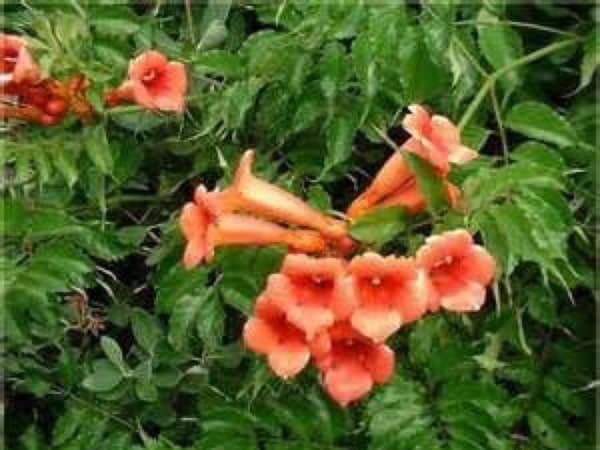 The trumpet vine is great for scrambling over trellises and fences, and although it has a fairly short flowering period, its well worth the wait. 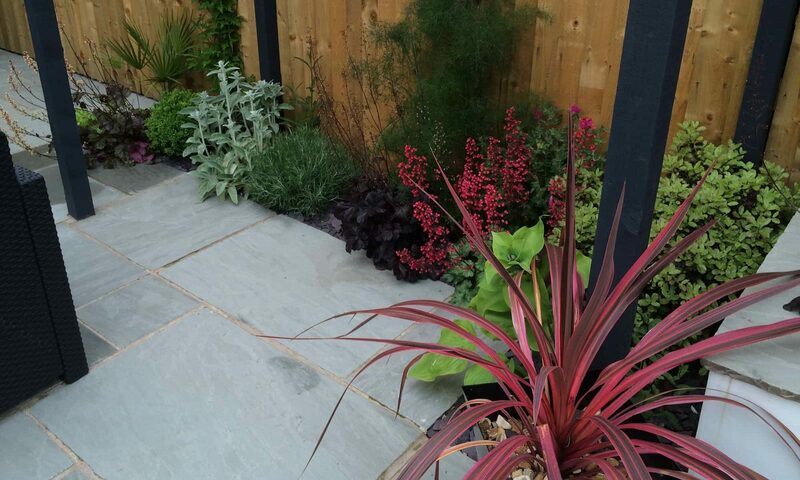 Although this plant looks great all year round and forms a fantastic evergreen structure within the bed, it comes into its own in August. 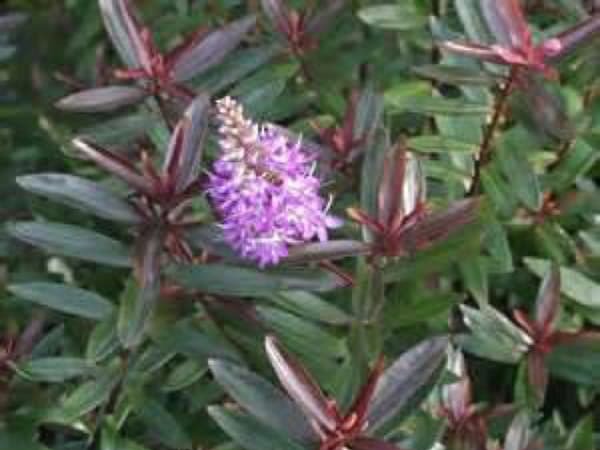 The dense, mound-like habit of glaucous leaves tinged with purple contrast with the lilac spires which last well into the autumn.